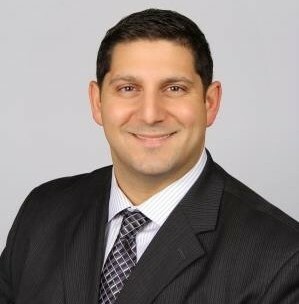 Gregory Gudis is a founding member of BGA Insurance Group. When creating BGA with co-founder Joseph Bachmeier the mission was set to assist Seniors and their families plan their Healthcare, Long-Term Care, Final Expenses and Financial Security when approaching, and during, retirement. To do this they contract with only the highest rated Insurance Carriers and work with Agents who are as committed to assisting seniors as they are. While remaining dedicated to his clients Greg also handles many of the day to day business activities of the company. He works closely with the Branch Managers to see that all agents have everything they need to serve their clients and are properly trained to do so. Greg has also worked with software developers to build a client relationship manager for agents to stay in touch with their clients more regularly and keep their records safe but available for review. Greg has a Bachelor of Arts from Rowan University where he majored in Political Science and minored in Philosophy. He obtained his Master’s Degree from Rutgers University in Public Administration. To further his knowledge base and better assist his clients he obtained the designation of Chartered Advisor for Senior Living®. The CASL® designation focuses on the issues facing clients who are planning for or are living in retirement. Greg is licensed in several states including: New Jersey, Pennsylvania, Delaware, Florida, South Carolina and North Carolina. Greg resides in Haddonfield, NJ with his wife Tara, sons Bryce and Gavin, and his two dogs Mason and Juno. When he’s not working on something for BGA he is running his barbecue team traveling all through the area competing.